Did any NRIs make the 25-man roster out of spring? Yes: Miguel Montero, who played four games (4), then was released. Money well spent. Did any of these NRIs appear for the Nats throughout the 2018 season? Yes, Montero, Collins, Sierra, Cordero, Kieboom. Special Mention: Edwin Jackson did not appear for the Nats, but he did secure his ML release then ended up being quite productive for Oakland later in the 2018 season. Some big player news rumors hit the airwaves this morning; Derek Norris, who two months ago we thought was our opening day starter, is reportedly being put on waivers for the eventual purpose of releasing him. 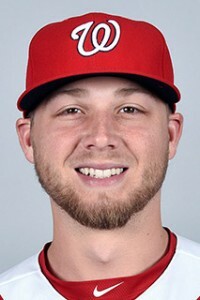 The timing is no accident; his contract is not fully guaranteed for the year and the Nats can get out of paying the full freight and only be on the hook for $700k by doing this. I think Norris obviously gets picked up by another team, but they’ll be waiting so they won’t have to pay hin north of $4M. He’s too good defensively to not get a job, and some team may think he’s a great reclamation project given his past hitting. Looking obvious that our 1-2 catching punch will be Matt Wieters and Jose Lobaton. Hard to see Pedro Severino as anything but AAA insurance for the time being. 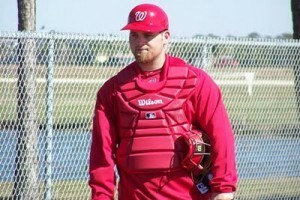 This puts the Nats 40-man roster at 39/40, leaving one spot for a quick add for someone at the end of spring training. We’ve been talking about Vance Worley being an arm that makes sense at the back of the bullpen, but he’s not impressed so far this spring; 8ip, 5 runs and just two strikeouts. 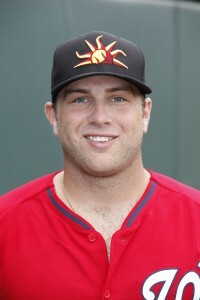 I’d like to talk about two other important arms though; Erick Fedde and Austin Voth. Fedde now has 7 IP, has given up just 3 hits and zero runs. 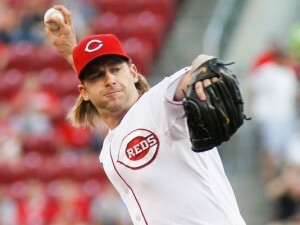 Voth has fewer innings (4 2/3) but has zero runs and a 5-0 K/BB ratio. Meanwhile their competition for “first in line for a spot start” A.J. Cole has been shredded this spring: 8 2/3 innings, 10 hits, 7 earned runs. Yes I know you often cannot trust spring training stats … but not in the cases of minor leaguers looking to impress while they’re in the presence of major leaguers. These guys are trying. And right now I’m feeling a ton better about our near-to-the-majors starting pitcher coverage post Giolito-Lopez trade than I was at the beginning of spring. Is it time to see if Cole makes more sense as a reliever? (Tangent: in case you’re not on ten-zillion RSS feeds about baseball and don’t know how Giolito/Lopez are doing: Giolito has by all accounts cleaned up whatever damage the Nats did to his mechanics and looks solid this spring: 9IP, 2 runs, 6-2 K/BB. Lopez has struggled; 8 2/3rds innings, 6 runs, 7-3 K/BB. Both Adam Lind and Clint Robinson have struggled badly: Lind is 4-20, Robinson is 4-21. Matt Skole is missing an opportunity here; he’s just 2-13 on the spring, with one of those two hits being a homer in the opener that had MartyC all hot and bothered. Brian Goodwin is not impressing in his attempt to win the spare OF job; he’s just 2-19 on the spring while “King of Spring Training” Michael Taylor is tearing the cover off the ball (he’s 11-26 with two homers). Looking more and more like Taylor is getting another shot at the title … and inevitably starting when old-man Jayson Werth hits the D/L at some point. Jhonathan Solano, now starting for Columbia in the WBC, is 10-12 with the Nats. That’s right; he’s hitting .833. Good to know; my comment above about us suddenly being rather thin at catcher may not be so bad if Solano keeps it up and earns a 40-man re-call. Wilmer Difo may not have a realistic shot at the opening day roster, but he’s doing the most he can, hitting .400 so far. Lastly, Ryan Zimmerman. 0-13 so far this spring. At least he’s putting the ball in play (just 3 punch outs). Too bad all the 1B types in camp that may push him to the bench are also struggling. We all know about Koda Glover and how he’s crushing it. 4IP, one hit, 7-0 K/BB. If he keeps this up, we’ll have a closer for $550k instead of the $15M that Melancon and Jansen earned. And that, my friends, is how you build a closer. Future Hall of Famer Max Schrock: only 7 ABs for Oakland this spring training, but he did go 2-7. He was an NRI but clearly seems set to return to the minors. No surprise there. The question is whether or not he can repeat his performance at the AA level in 2017. Nick Pivetta, which bought us the tumultuous Jonathan Papelbon era, has a 2.25 ERA in 8 IP for Philadelphia. Tony Renda is crushing it as an NRI for Cincinnati: he’s 11-25 this season. Felipe Rivero‘s statline resembles Glover’s so far this spring: 4IP, 1hit, 0 runs and 5 Ks. You have to give up talent to get talent right? anyway; what do you guys think about some of these guys? Third year running for this post: Here’s a link to 2016’s version and a link to 2015’s post. Every year the team invites a bunch of Non-Roster Invitees (NRIs) to Spring Training, and every year we wonder if any of these guys have a chance to make the team. This post discusses the NRIs and their chances. Through out the winter some NRIs were announced with signings; on 2/11/17 the full list of NRIs was announced. So that’s six NRIs from 2016 that eventually played for the Nats or got added to the 40-man roster, and six from the year . So odds are a handful of these players will eventually have a major league impact for this team. Lets take a look at 2017’s NRI roster. From the mlb.com NRI roster, lets break them down by position. RHP Jacob Turner: once upon a time he was halfway decent for an NL East team (Miami), but lost his effectiveness somewhere in the 2014 timeframe and hasn’t gotten it back. Seems like AAA rotation filler to me. RHP Vance Worley: an interesting minor league signing; why couldn’t he get a 40-man contract after the season he just had in Baltimore? Could be a sneaky effective pickup. RHP Jeremy Guthrie: 272 career starts but none in the majors since getting dumped from Kansas City’s 2015 rotation. In 2016 he posted an ERA north of 7.00 for Miami and San Diego’s AAA squads. He’ll be 38. I’m not sure he’s really any better of a “spare starter” option than what we already have in house. RHP Erick Fedde: his invite clearly indicates to me that the MLB staff wants to get a look at him, figuring that he’s taken over as the next big thing in terms of starting pitcher prospects. With all due respect to A.J. Cole and Austin Voth, its really Fedde that I’d like to see pitching in the majors if/when we have a month long starter injury later this summer. RHP Taylor Hill; may be up to see if he’s got anything left in the tank, or perhaps to eat some split squad innings? Once you’re off the 40-man it seems pretty hard to get back, and that’s the dilemna that Hill faces. RHP Kyle McGowin, recently acquired in the Danny Espinosa deal. I’m guessing the team wants to see what they have. McGowin’s 2016 numbers were awful … but pitching in the PCL is generally awful, so its hard to scout the stat line here. FWIW, a couple of these guys who I’ve called “starters” (Turner and Worley) may actually still be starters, but they’re close enough to starting that the team could look at them as such. I could see Worley getting the last spot in the MLB rotation and acting as a swing man/6th starter, not unlike what we used Yusmeiro Petit for last year. The minor league invites mean that the whole AAA rotation will be in camp. Unless the team suffers 3 SP injuries in camp, nobody here is making the 25-man on 4/1. RHP Matt Albers; Great in 2015, awful in 2016. Wrong side of 30, losing his swing and miss stuff. Seems like he’s just in camp to rebuild value and likely opts out if he doesn’t make the team. RHP Mike Broadway: career journeyman, was formerly with Nats in 2013 time-frame. Little MLB experience, seems like he’s AAA insurance. RHP Joe Nathan: 377 career saves, but he’s 42, was last effective as a 38yr old in 2013, and this seems like perhaps an audition for him to take a role on a coaching staff here. RHP Dustin Antolin: longtime Toronto farm hand who spent 3 straight years in their AA team and was a part-time closer for their AAA team last year with good results; seems like a safe bet to close in AAA and serve as middle relief insurance. RHP Derek Eitel; similar to Antolin; long time farm hand who finished a ton of games in AAA for San Diego last year. Averaged a K/inning but had a ton of walks. RHP Wander Suero: a long-serving middle relief option for the team, Suero has grown up in the system. He’s entering his 8th pro season and I’m guessing the team wants to see if he’s a MLB middle relief option and/or an option to eventually add to the 40-man roster ahead of his pending MLFA deadline. LHP Tim Collins: hasn’t pitched in 2 years thanks to a failed TJ surgery that cost him a second season, but was pretty effective for Kansas City to that point. 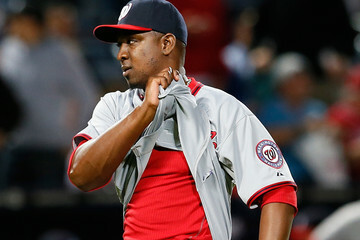 I think he has to think he’s heading to AAA to prove to teams that he’s ok.
LHP Braulio Lara: seems like a lottery ticket based on performances from a few years past; he got shelled in Korea, shelled in AAA recently. LHP Neal Cotts: long time reliever who has had some bouts of success over the years, but who didn’t make it out of AAA last year. Can’t see him supplanting the 40-man guys ahead of him on the Loogy pecking order. LHP Nick Lee, who like Hill before him was on the 40-man and then passed through waivers to get removed from it. He was good enough to protect in 2015 (putting up good numbers in a closing role for AA) but really struggled with his control in 2016 (42 walks in 50 innings). Perhaps a mechanical tweak can put him back on the radar to being an effective reliever. Tangent: The recent addition of optionless Enny Romero may complicate a 25-man path for these guys. Or perhaps not; the arm they gave up (Jeffrey Rosa) was so insignificant that I had to look him up because I forgot who he was. In case you were wondering, Rosa was the “ace” of this year’s GCL team, getting 11 starts and posting a 4.91 ERA. As a 21 year old. So that means he was a 19-yr old IFA signing from a land where most players of note sign at 16 and only the rare cases make it to 18 and still have a minor league impact. So perhaps the team isn’t entirely wedded to Romero making the roster/challenging his no-options status. That trade was more about Tampa shedding a 40-man spot and getting something (anything) in return. Discussion: So, no real “closers” in here, even if you somehow think Nathan can still produce (I don’t). I think a couple of these guys will exercise opt-outs and the rest will sign up in AAA. I can’t see any of them seriously challenging any of the existing 40-man arms for a spot. The one exception could be Collins for me; he was good, had bad luck with his injury and could very well come back and be effective; is he a better Loogy option than our current set of lefties (Perez, Solis, Romero and Grace)? I doubt it. I like the call-up of Suero and Lee; i think its a good idea for the team to see what they have here. Jhonatan Solano, who probably reprises his role as AAA backup for Syracause and is in camp mostly to help with all the warm-up duties. 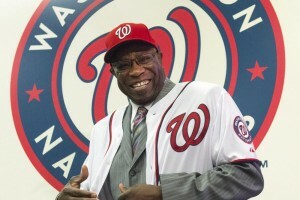 Emmanuel Burriss: we are quite familiar with Burriss, who is a Washington DC native and was with the org two years ago. I see little chance of him breaking with the team but he’ll do exactly what he did for us in 2015: toil in Syracuse, wait for an injury in the infield and bide his time until he can get some MLB at-bats. In 2015 he was up by June 26th; what are the odds that the Nats infield holds up without injury again in 2017? Grant Green; primarily a 2B, but can play like a utility guy around the field. He’s a former 1st round pick and a highly regarded prospect; don’t see much of a position for him though. Will he stick around if he doesn’t make the team? Corban Joseph: owns a grand total of 7 MLB at-bats, and that was in 2013. He has toiled in the minors for the last four full seasons, bouncing around organizations. 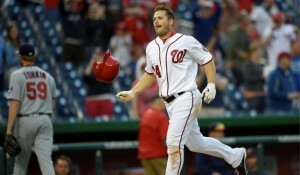 He plays 1B and 2B and seems like the backup to the backup for Daniel Murphy. In other words, if Joseph is playing, we’ve really suffered some serious injuries. Neftali Soto: the 2016 MLFA signing had such a solid year for the organization that they re-signed him and gave him the NRI invite this year. I suppose he’s Ryan Zimmerman insurance … but like Snyder is a RH hitter who is more or less limited to 1B. Hard to see a pathway for him. Drew Ward: this NRI seems a bit premature; he was in A-ball a year ago this time. But Ward also faces Rule-5 protection this coming off-season and is one of the few remaining hopes of the 2013 draft class of producing much in the way of MLB talent for the home team. He could be a replacement for an Anthony Rendon injury at some point too. Its hard to see any openings here, especially given the Stephen Drew re-signing. Are any of these guys beating out Wilmer Difo? Doubt it. Brandon Snyder: another local product (Westfield HS in Chantilly) and another 1st round pick who has sputtered out. He has some pop, but he bats right handed … and the RH bench spot is already committed (along with $1.4M) to Chris Heisey. Snyder seems like AAA “spare parts” insurance for 2017. Andrew Stevenson: I know he was a high draft pick, but based on what I saw of him in college i’m still kind of shocked he’s advanced so quickly. He joins several other CF-capable players in camp and signals to me at least that the team clearly thinks he’s got a role going forward. Conclusion/predictions: I predict no NRIs make the team out of spring training right now. But I could see several of these guys head to AAA and get call-ups in the case of a 60-day D/L trip. And a number of the minor league invite guys will feature eventually. Post-publishing update: indeed, no NRIs made the opening day 25-man roster, but clearly the plan was in the works to bring in NRI Jeremy Guthrie to make a spot start early into the season and perhaps stick around as the long man…. Except that Guthrie got absolutely battered in said start (10 runs in 2/3rds of an inning), leading to his immediate DFA and the subsequent call up of a second NRI Matt Albers (over, it should be noted, four other 40-man roster relievers). Then, thanks to two quick infielder injuries the first week, a third NRI Grant Green was called-up to provide some cover. So technically zero NRIs made the team but several were used inside of the first week.